Click on the thumbnails to check out the project! The Client: Avalon Village, a 21-st century sustainable eco-village development in Highland Park, one of Detroit’s most blighted and abandoned neighborhoods. 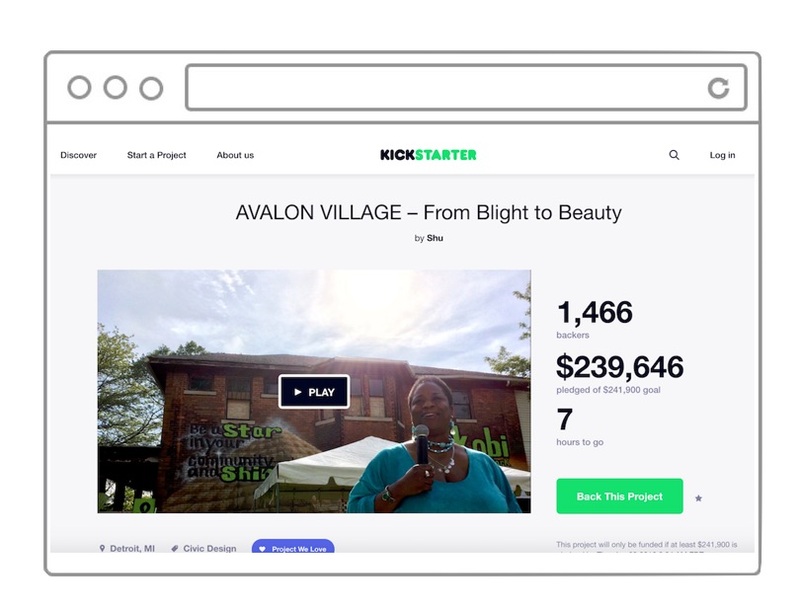 The Project: We designed and implemented a Kickstarter crowdfunding campaign that raised $243,691 from 1,511 donors in over 140 countries. We oversaw fundraising, PR and social media, and coordinated internal communications for a core team of 6 members led by the Project Directress, Shamayim ‘Shu’ Harris. Our media work generated over 1,500,000 social media impressions, 18 major media news articles and more than 70,000 unique visitors to the fundraising page over a 30-day period. The Client: Detroit Water Brigade, a volunteer-led alliance of compassionate citizens of Detroit and their international allies working to bring emergency relief to families facing water shut offs while advocating for an income-based Water Affordability Plan in Detroit. 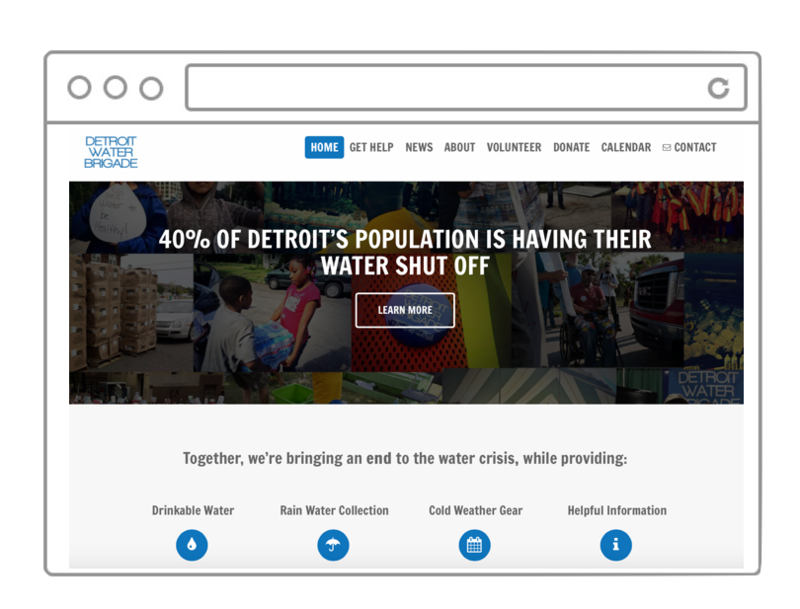 The Project: We designed email, social media and SMS-based volunteer outreach and internal communication tools that recruited over 1,500 volunteers from Detroit and beyond to respond to utility shutoffs with donated water and other vital necessities. We also designed an online and offline donation system that helped raise over $100,000 in cash and in-kind donations for Detroit. The Client: Katie Young, of Young Blood Productions, an award-winning indie documentary filmmaker on a mission to document the emerging global water rights movement from Dublin to Detroit and beyond. The Project: We designed a grassroots social media and email marketing campaign to raise awareness and funds for the initial production of Katie’s film. This including revamping her logo, branding, website, social media accounts and narrative messaging. We helped her raise several thousand dollars to begin film shoots in Ireland and Detroit, and continue to actively promote her social media accounts. The Client: Montrose Pictures, a Scottish film company that produced ‘You’ve Been Trumped’ – an investigative documentary about Donald Trump’s controversial plan to build a luxury golf course on the pristine Scottish coastline. 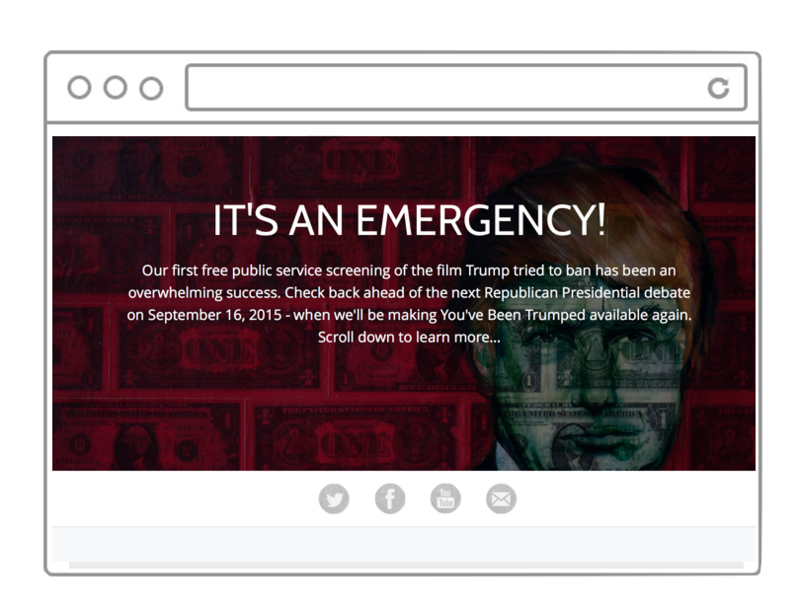 The Project: In anticipation of the first 2016 Republican Presidential Primary election debate, we teamed up with filmmaker Anthony Baxter to create a viral 24-hour marketing campaign for the film entitled #TrumpEmergency. 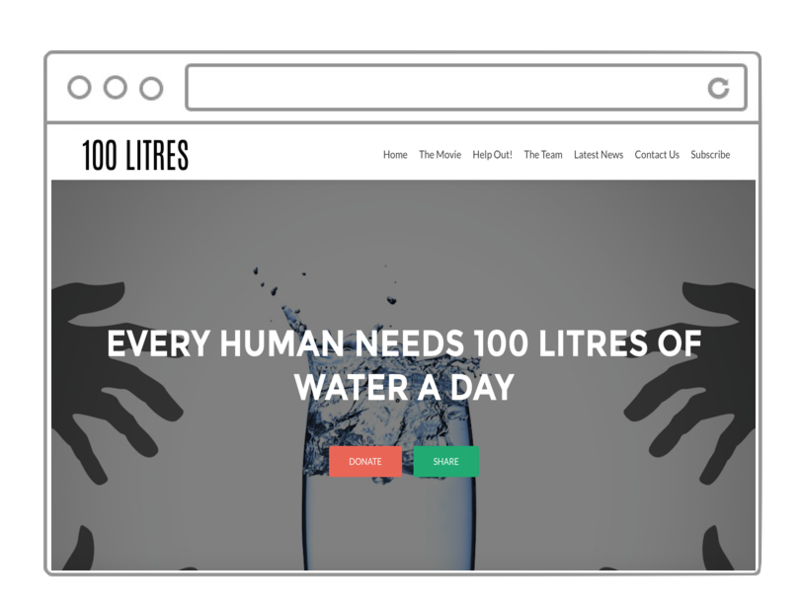 A custom website, social media and email list-building campaign were all constructed in approximately 4 hours. The project yielded thousands of online shares and video streaming views, as well as nearly 1,000 email captures for Montrose Pictures. 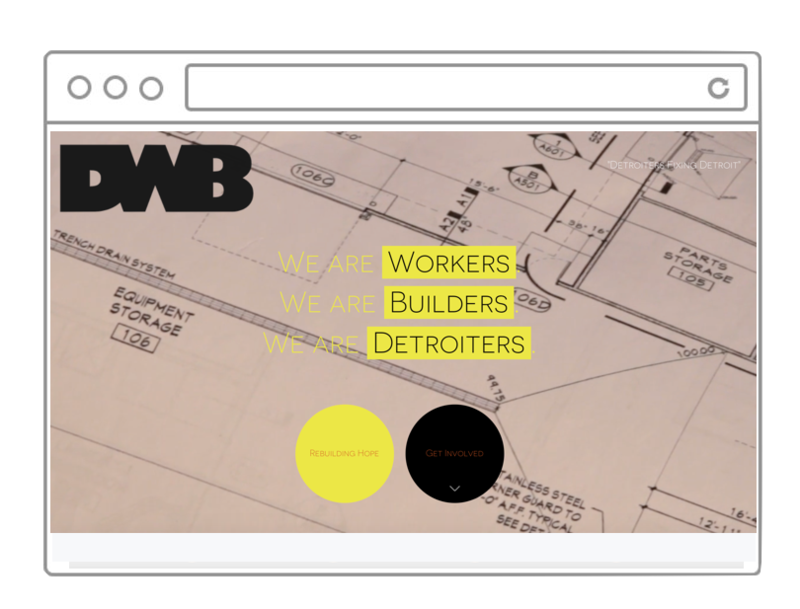 The Client: Detroit Workers & Builders is a cooperative organization in Detroit that trains and employs formerly homeless and unemployed workers in Detroit to fix homes and infrastructure through apprenticeship programs and mutual aid. The Project: We designed an interactive, responsive website to launch the organization, and did market research across Detroit neighborhoods to determine where services were most needed and desired. We also developed a full suite of social media and email marketing tools for the cooperative.